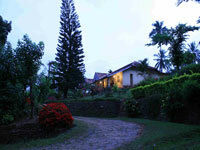 Capella is a classic homestay set on the top of a hill, in the middle of lush green surroundings in Arpora village. 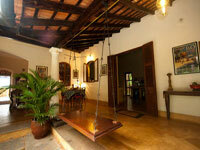 The house provides all modern facilities along with traditional Goan architecture. If you want to make your holiday more exciting, have fun at the famous beaches- Baga, Calangute and Candolim , at a distance of just around 20 minutes from Capella. 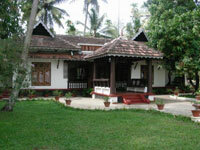 Vembanad House, on the banks of Vembanad Lake in Kerala is an old ancestral home which is surrounded by water on three sides. The stunning traditional wooden furniture and works of art makes the interior look dazzling and the exterior is luxuriant with tropical plants and paddy fields. This is one of the finest examples of Kerala's traditional architecture and the view of the amazing waterfront from the bedrooms is really spectacular! This luxurious tree house is set in 90 acres of coffee, pepper, betel nut, lime, ginger, guava and avocado plantations, in Wayanad district of Kerala. 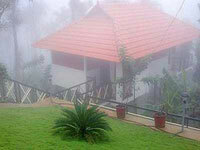 One can get beautiful and picturesque vies of the plantations and wild life nearby, from the balconies. Meenmutty Falls, Wayanad Wildlife Sanctuary, Chembra Peak are some of the nearby attractions and activities such as trekking, jeep safari and visiting tribal colonies will make your visit worthwhile.